Quick summary: In this lesson students will explore the topic of recycling within their classroom. Through the topic they will practise the core mathematical skills of counting, sorting and classifying and then apply their findings to reflect on and develop their own recycling habits. Students will understand that paper, cardboard, plastic, glass, aluminium and steel can be recycled. Students will able to sort materials into groups. Sort and classify familiar objects and explain the basis for these classifications. Copy, continue and create patterns with objects and drawings (ACMNA005). Connect number names, numerals and quantities, including zero, initially up to 10 and then beyond (ACMNA002). Syllabus outcomes: MAe‑1WM, MAe‑2WM, MAe‑4NA, MAe‑8NA. General capabilities: Numeracy, Critical and Creative Thinking. Relevant parts of Foundation achievement standards: By the end of the Foundation year, students make connections between number names, numerals and quantities up to 10. Students count to and from 20 and order small collections. They group objects based on common characteristics and sort shapes and objects. Unit of work: Bright Sparks – Primary Mathematics. Level of teacher scaffolding: High – explicit modelling, demonstration and monitoring of student activities required. Student Worksheet (printed, one per student). Recycling categories posters (printed, one set per group of three). Examples of recyclable materials for students to sort (one collection for each group of three students), e.g. old food boxes, milk cartons, empty cans, used paper etc (ensure all items that will be sorted by students are clean and free from cracks or sharp edges so that they are safe for them to handle). Five buckets/tubs each with one of the posters for each recycling category sticky-taped onto it. 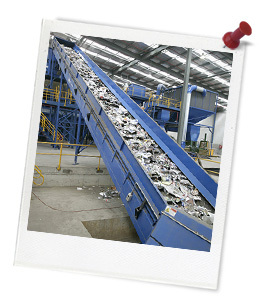 Keywords: Recycle, recycling, paper, glass, plastic, aluminium, steel, sustainable, reuse, environment, landfill. Students understand that paper, cardboard, plastic, glass, aluminium and steel can be recycled. 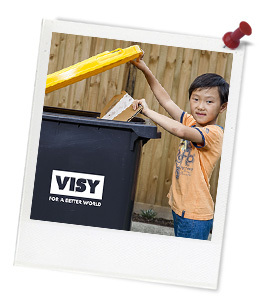 Students can recall five main recycling categories (paper and cardboard, steel, aluminium, plastic and glass). Students can group items into recycling categories. When we put items in our bins, where do they go? Draw the items that you sorted into each category. Then write the number of items you placed in each group.